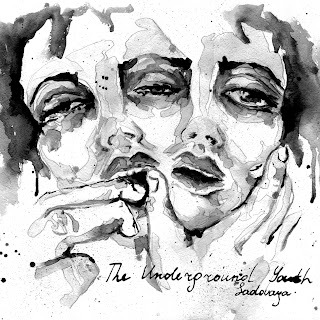 Tous les Canards vont à la mare: Album de la Semaine : The Underground Youth - What Kind of Dystopian Hellhole Is This ? Album de la Semaine : The Underground Youth - What Kind of Dystopian Hellhole Is This ? What Kind of Dystopian Hellhole Is This ? Can you talk a little bit about how the band started as a one-man recording project? Where did the initial idea come from and just how did it begin? When was that? I’d been writing rough amateurish poetry since the age of sixteen or seventeen. When I heard Bob Dylan for the first time I realised that I didn’t need any more than a few guitar chords to turn these into songs. In 2008 I started recording songs in my bedroom with some basic recording equipment; I guess it’s all grown from that. 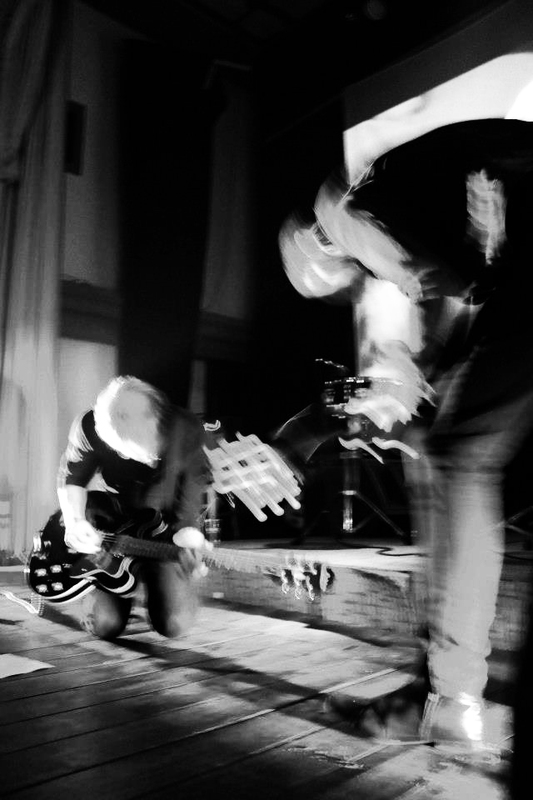 You recruited band members for live performances in preparation for your tour in 2012 after signing with Fuzz Club Records, how did you go about choosing members or did you already have people in mind? I didn’t have anyone in mind from the start, it all just kind of fell into place. I met our guitarist Tom through a mutual friend. I’ve never felt more comfortable playing around another guitarist. 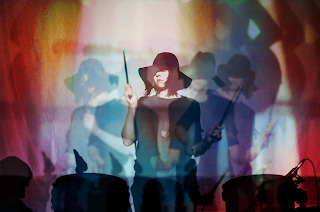 Our drummer Olya is my wife, so her entry into the live band was a little more natural. Was the transition to a full band difficult for you or was it kind of a natural evolutionary process? It started out easy but then got difficult. I guess to call it an evolutionary process is the best way to describe it. While it progresses it changes. 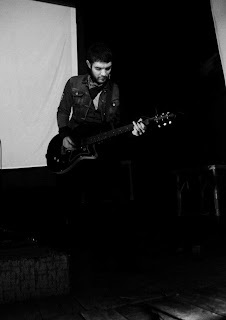 As a live band we will change in time, there’s room for more people and more instruments, it will never feel complete. I like that about it. Right now we just use a guitar, a bass and two drums which Olya plays standing up. Sometimes we just play with two guitars. It’s a stripped back sound, especially in the psychedelic scene where you can find other bands utilizing four or five guitarists. Are any of you in any other bands? Have you released any material with any other bands? If so can you tell us about it? 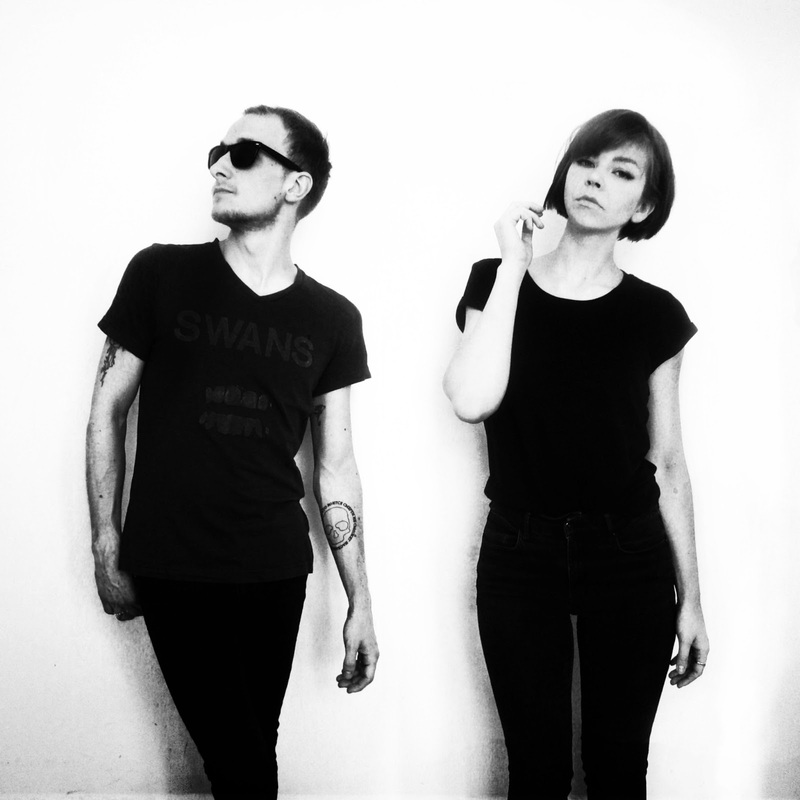 Olya and I recorded an EP under the name Noise Exposure. It was sort of a side project where she had more creative input. Tom is constantly writing and recording under different names. I’m not sure which one he’s using right now. I guess it was 2011 I first met Tom. He’s from Liverpool but we met up in Manchester. We spent an evening drinking wine and discussing music, we’re very different people but we have a connection that really works. As I said before, Olya is my wife, that’s all you need to know. I’m from a town in North-West England, Blackpool. Olya is from Siberia and Tom is from Liverpool. Where is the band located now? How would you describe the local music scene there? Manchester. For me Manchester’s musical history is better than anywhere but unfortunately, there isn’t much excitement around any new “scene” right now, at least not for what we’re doing. I think it is growing but in its’ current state there isn’t much to write about. Are you very involved with the local scene? No. 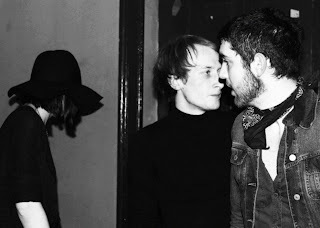 We’ve played a small handful of shows in Manchester for a small handful of people. Has it played a large role in the history or evolution of The Underground Youth? I would say no but it’s hard to have perspective on that from my position. 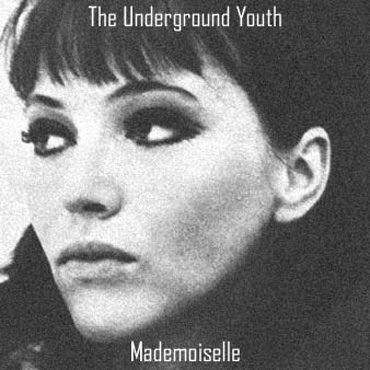 It’s been said that The Underground Youth “sound very Manchester”, which is probably just a way of saying we’re obviously influenced by Joy Division. 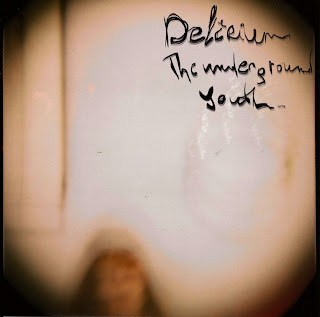 What does the name The Underground Youth mean or refer to? 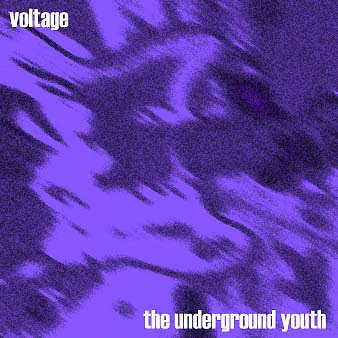 One of the early poems I wrote, around the age of eighteen or nineteen, was called Underground Youth. There’s actually a horribly rough recording of it on my first album of songs Morally Barren. I just decided to name the project after that song. Who are some of you major influences? What about the band as a whole rather than as an individual? I am hugely inspired by the work of Anton Newcombe and The Brian Jonestown Massacre but the sounds of other psychedelic groups are obvious in the music as well. Olya’s drumming style is lifted from early Jesus and Mary Chain but she’s also one of the biggest Spacemen 3 fans there is. My writing is inspired by Bob Dylan and Nick Cave, and there are flashes of post-punk in there while Tom brings a garage blues influence to the live show. Can you describe The Underground Youth’s sound to our readers that might not have heard you before? Something between psychedelic rock and post-punk. It’s haunting and dark but with flashes of a melancholic lightness. 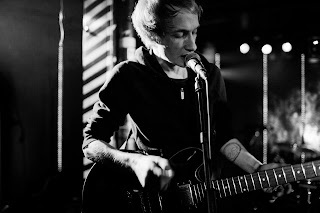 A word that often comes up is cinematic, I’m a huge fan of cinema and my music is hugely influenced by film. Can you talk about the songwriting process when you were still a one-man band? How has The Underground Youth’s songwriting process changed since the addition of the live band? The songwriting process is, and always has been the same, although a live band is now representing the music and I take this into account when recording. The songs are all my own creation, for me writing alone is much freer. The freedom of writing and recording alone is waking up in the middle of the night and creating something from nothing. The danger is working your way into a corner with no one to bounce ideas off. But my process is very much at my own pace. With the right inspiration I can record a whole album in a week or two. You self-released five albums before signing with Fuzz Club records and reissuing the Delirium 12” and The Low Slow Needle 10”. Can you tell us a little bit about the recording of those early albums as a one man project? Where were they recorded? Did you record the material yourself? What kind of equipment was used? Everything, including the new album, is recorded at home. I do everything myself on my own cheap and simple equipment in my home. Over the years I have improved the recording and production of my music, but essentially the equipment and process I go through is the same. It’s only recently that I started entertaining the idea of working with someone else in the recording process. There’s a chance the next album I record will feature someone else in a production role, but I definitely prefer to have control. What were the names of those initial five albums? How were those albums originally released? Morally Barren and Voltage were released in 2009, Mademoiselle and Sadovaya in 2010 and then Delirium and the Low Slow Needle EP in 2011. Back then I would just make copies of the albums on CD myself and send them out to people who got in touch online. Eventually I uploaded everything online and made it available for anyone to download. Through the following I built up with those albums I was approached by someone who was “thinking of setting up a record label”. From there everything happened really fast for both the band and the label. You compiled some of the tracks from those albums into the Delirium and Low Slow Needle releases, how much of the material from those early releases were compiled to make those two albums or are they straight reissues of the original albums? Are there any plans to release the rest of that early material in physical or digital formats? Delirium and Low Slow Needle were released on vinyl exactly as they were originally recorded. The idea is to work our way through the back catalogue and release the early material on vinyl. 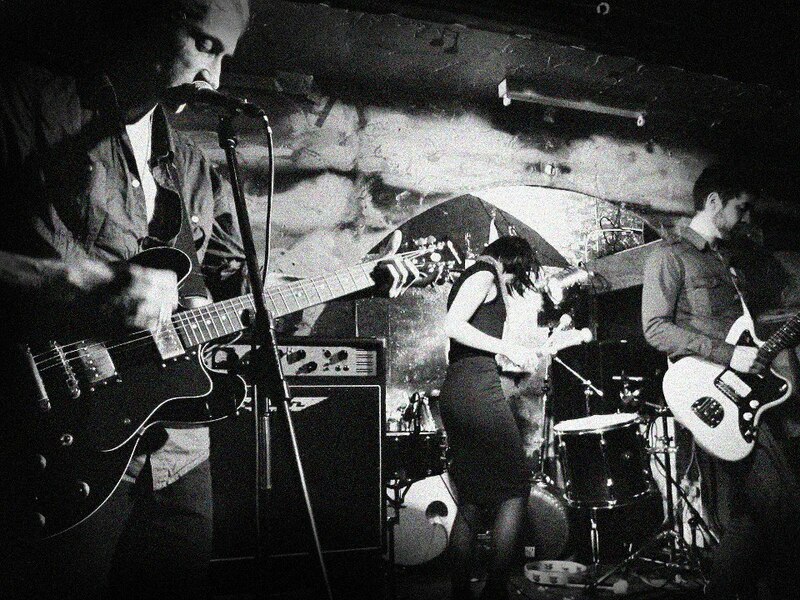 You also recently released a 7” through Fuzz Club Records, Morning Sun. Are these tracks culled from that pool of older recordings or were they done for this release more recently? Morning Sun and the B-side Art House Revisited were songs from the album I recorded in 2010 titled, Sadovaya. You also released a split with a band I’ve been into for a long time at this point, Little Daggers. How did you get hooked up with them? Where did the track Juliette come from, was it recorded specifically for that release? 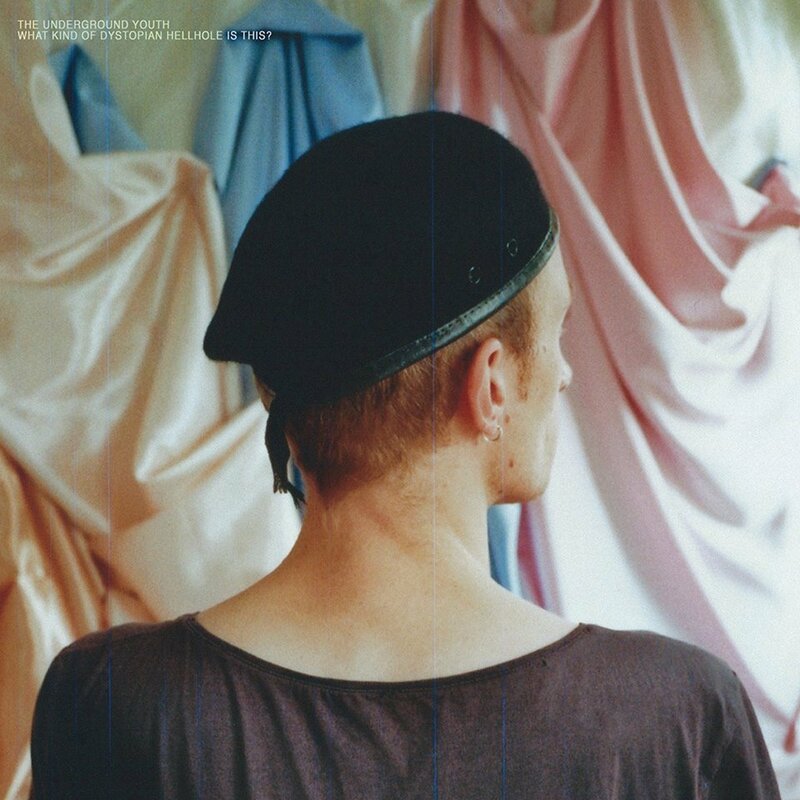 Jacob from Lil Daggers got in touch with me about arranging some shows together if they were ever to come over to Europe but our conversation ended up with us making a split 7” together. I wanted to record a new track for it, so I wrote and recorded Juliette, which is also on our new album. You have an upcoming album scheduled for release in the next few months. I know the band was involved with recording for the first time, was it strange or difficult for anyone going into the studio this time? August 2nd. As I mentioned earlier the songs are all my creation. 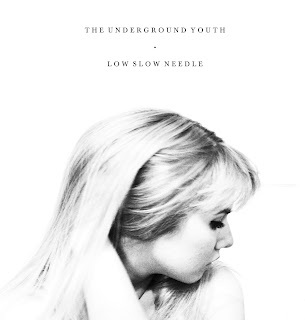 I had my friend Daria, who lent her vocals to the Low Slow Needle EP, sing again on this record and Tom recorded guitars on a number of tracks. There’s also a song that came from a bass part that Olya created. I really do work best on my own, sat at home recording. It’s much more effective for me than all the pressures that come with studio recording. Can you tell us a little bit about recording the new album? What can our readers expect? Did you try anything radically different with songwriting or recording on this album? Where was it recorded and who recorded it? What kind of equipment was used? What’s the name of the album going to be? The album has a different feel to it for sure. It’s my most mature work and has a much wider array of influences. It’s a really dark and raw record. We live in an apartment overlooking the outskirts of Manchester’s City Centre so I recorded the album looking out onto this. I think some of the atmosphere was soaked up by the recording. There are also some of the most fragile tracks I’ve ever recorded. I think it’s the best of everything I’ve done rolled into one record. 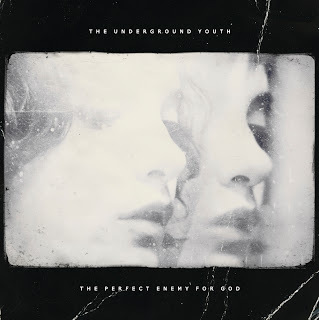 The album is called The Perfect Enemy For God. Other than the upcoming full-length do you have any other releases planned for this year? I have a few new songs that I’ve been working on. I might end up building them into an album or an EP but it’s too early to say, we’ll see how the new album is received before deciding on what to do next. We had the idea of re-recording some of the older tracks, compiling a best-of and recording it in a studio with an established producer. We’ll just have to wait and see. With the insane recent postal increases here in the states where is the best place for US readers to purchase copies of your music? What about international and overseas readers? Fuzz Club Records ship worldwide and I know they try and keep the shipping costs as low as possible. We have records in a number of independent record stores around the world. I’d suggest people contact Fuzz Club and ask for more information. What do you have planned as far as touring goes for the rest of the year? We’ve got a few shows in Europe around the release date of the new album. The release party on August 2nd will be in Berlin. Following that we have a tour of Russia, some dates in the UK and another European tour that’s currently being booked for October/November. Do you have any funny or interesting stories from live shows that you’d like to share with our readers? Well we have the usual band horror stories of terrible shows, guitars breaking, drums being knocked over; a monitor once fell on me during a gig. I love that rawness of a live show though, I don’t go and watch a band play live to listen to an exact recreation of a record I have at home. I want to see a raw and passionate representation of the music, snapped guitar strings and onstage disagreements included. Where’s the best place for our readers to keep up on the latest news from The Underground Youth like upcoming album releases and shows at? The best way is to follow our Facebook page. I update news on there regularly. We also have a Twitter account or you can sign up to a newsletter and find other updates on the Fuzz Club Records website. I must admit to loving my digital albums. Having the ability to take music wherever I want is really cool, but I just can’t shake my obsession with physically released product. Having an album to hold in your hands, artwork to look at and liner notes to read all make the listening experience more complete; at least to me. Do you have any such connection to physical releases? Absolutely, I couldn’t agree more. Having a digital copy of an album is great for the ease of listening to it anywhere, but for me you can’t beat listening to an album on vinyl. For the obvious joys such as soaking up the artwork and the quality of sound, but I think appreciating a record from start to finish is so much easier when listening to vinyl. With no easy way of skipping a track it’s much easier to appreciate a record as a piece of art. I understand that this isn’t the most common approach to buying/listening to music, with that in mind all our records come with a digital download included. While digital music might be undermining decades of infrastructure in the music industry and causing a lot of turmoil it’s also exposing a lot of bands that I otherwise would never have had the pleasure of discovering. What’s your opinion on digital music and distribution as an artist during these turbulent times? For me the simple fact is that without the option of creating digital files that could be sent to all corners of the world via the Internet, no one would have ever heard my music. I certainly would never have been approached to create a physical release. It’s great for musicians and fans alike that music is so accessible. I hate most things about the commercial music industry so I try not to think about it too much. I try to keep up on as much music from around the world as is humanly possible, so I ask everyone I talk to this question. Who should I be listening to from your local scene or area that I might not have heard of before? 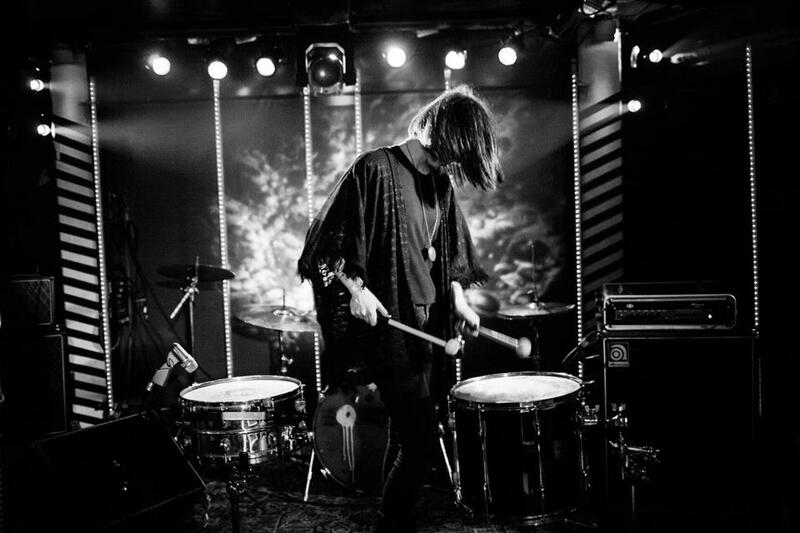 As I mentioned earlier Manchester isn’t really the home of a “scene” for us right now but the European psych scene is exploding with great bands! If you check out The Reverb Conspiracy compilation record it’s full of hidden gems. My favorite band didn’t get featured on that record though, The Blue Angel Lounge, I can’t speak highly enough of them. I can’t think of anything, thanks. Let’s hope we can get over to the States soon to play some shows. Libellés : The Underground Youth - What Kind of Dystopian Hellhole Is This ?